The Dow Jones Industrial Average and S&P 500 are now down for the year. The Dow remains more than 10% below its record high from Jan. 26. U.S. stocks posted their third weekly drop in four weeks. For the week the Dow declined 5.67%, the S&P 500 dropped 5.95% and the Nasdaq fell 6.54%. Shares of Facebook Inc. fell for a fifth straight day, declining 3.3%. Stocks finished lower on Friday, March 23, as Wall Street fought to recover following sharp losses after Donald Trump moved to slap tariffs on up to $60 billion worth of China-made goods and China reciprocated saying it would target imports from the United States. The Dow Jones Industrial Average was down 424 points, or 1.77%. The S&P 500 fell 2.10% and the Nasdaq was down 2.43%. The first definitive steps toward a global trade war hammered stocks in Asia, pulling Japan's Nikkei 225 down 4.5% and to a five-month low, after Trump suggested his tariffs were the "first of many" and China declared that it was "not afraid" of going head-to-head with the U.S. European stocks traded lower on Friday. China said it will place tariffs on around $3 billion in U.S. imports, including pork, recycled aluminum, fruit and wine, but suggested further sections of the American economy could be targeted if Beijing isn't able to advance negotiations with Washington. Meanwhile, Trump signed a $1.3 trillion spending bill approved by the Senate after threatening to veto it in a tweet earlier Friday because it doesn't fully fund his proposed border wall with Mexico and doesn't include a fix for the Deferred Action for Childhood Arrivals program. Stocks in the U.S. plunged Thursday, March 22, following Trump's announcement that he was launching a trade action against China. The Dow finished down 724 points, or 2.93%, to 23,957. It was the worst loss for the index since Feb. 8. The S&P 500 dropped 2.51% and the Nasdaq tumbled 2.43%. Nike ( NKE - Get Report) rose 0.31% on Friday after its fiscal third-quarter sales and adjusted earnings topped Wall Street forecasts. Revenue rose 7% to about $9 billion, higher than expectations of $8.85 billion. 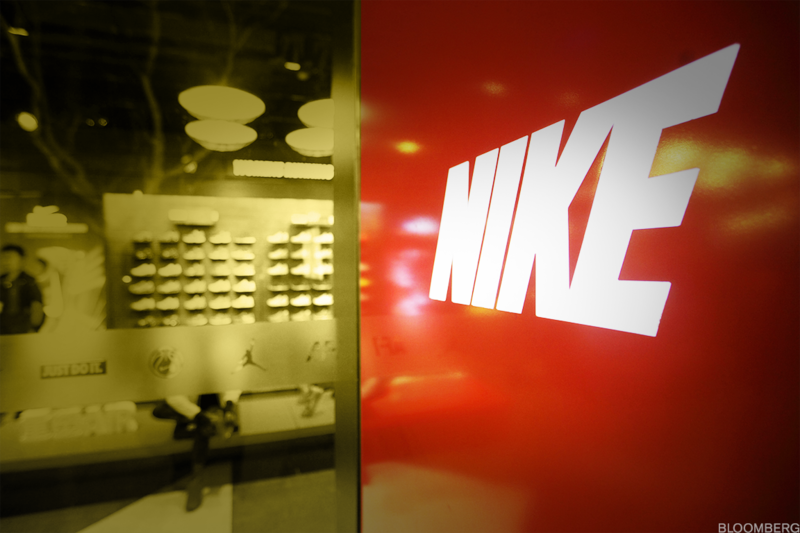 Sales in North America fell 6% but Nike executives said they expect that U.S. sales should turn positive and grow again by the first half of fiscal 2019. Target Corp. (TGT - Get Report) and Kroger Co. (KR - Get Report) have been discussing a possible merger, several people with knowledge of the matter told Fast Company. The two companies first started conversations last summer about a partnership that could improve Target's grocery business and give Kroger customers more access to merchandise and e-commerce, Fast Company reported. The talks have been ongoing in 2018. A source, however, told CNBC the companies weren't discussing a merger but were holding talks about their Shipt partnership. Target fell 1.4%. Kroger dropped 0.51%. Dropbox Inc. (DBX opened for trading Friday at $29 a share. The stock was priced Thursday at $21 a share, above the projected range of $18 to $20. Dropbox rose 35% in its market debut. Shares of Micron Technology Inc. ( MU - Get Report) fell 8% amid profit-taking despite the chipmaker reporting fiscal second-quarter earnings above forecasts and saying it expects third-quarter sales and profit above consensus estimates. Facebook Inc. (FB - Get Report) fell 1.3%, trading lower for a fifth straight day, as the tumult surrounding the world's biggest social group showed no signs of abating following a data scandal that may have breached the privacy of 50 million users. Wynn Resorts Ltd. (WYNN - Get Report) said former CEO Steve Wynn sold his remaining 8 million shares in the casino company, leaving the embattled founder without a stake in the company. The stock rose 0.19%. Durable goods orders for February in the U.S. rose 3.1%, higher than estimates of up 1.7%. New home sales in February rose 0.6% from January.